Replacing bathroom faucet and drain connections can be tricky. Over the years we’ve seen double handled faucets cause maintenance problems and leaks. Single handle faucets on the other hand are easier to install and less troublesome. But a lot of homeowners struggle with the faucet, drain, and pipe installation. Either the faucet connection leaks or a drip develops at the drain pipes. So we have several great tips that will stop these headaches. Plus, the Hansgrohe Talis Select we installed has a cool ‘hair catch’ that prevents drain clogs. Tools and supplies make this project a lot easier! We chose the Hansgrohe Talis Select for this bathroom because it has a push button handle. Plus, it matches the Hansgrohe ShowerSelect faucet in this bathroom’s shower. We installed that shower faucet and iBox mixing valve before adding the wedi shower system for the tile. The first step to replacing bathroom faucet and drain connections is adding the faucet to the sink. Water leaks from sink to faucet connections stink worse than a wookie’s breath. The Talis Select comes with a rubber centering ring. This goes between the faucet base and sink to center the Talis on the sink. In addition, it creates a water tight seal to prevent water from leaking down into the vanity cabinet. High five to Hansgrohe for this little gem of engineering genius. Then the metal mounting ring is attached to the underside of the Talis Select using the provided accessories and screwdriver. Also, make sure the faucet is centered on the drain before completely tightening the mounting ring. 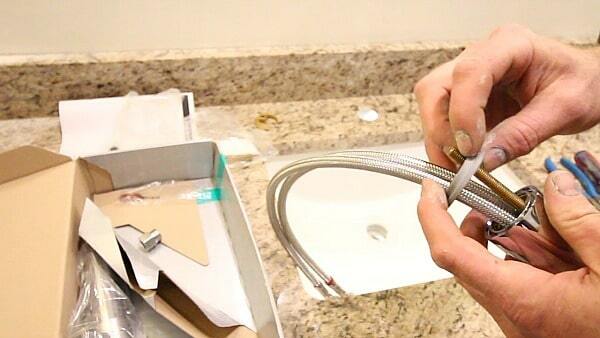 Slide the pullrod down through the faucet and move onto the drain installation. Sometimes we modify directions to make them better. And that’s exactly what we did with the Talis Select. The directions called for plumbers putty between the drain and sink. Plumbers putty tends to break down over time as the oils in it don’t last forever. Our solution is to apply 100% silicone sealant to the underside of the drain and to the sink. Push the drain body down into the sink until silicone oozes out from the connection. 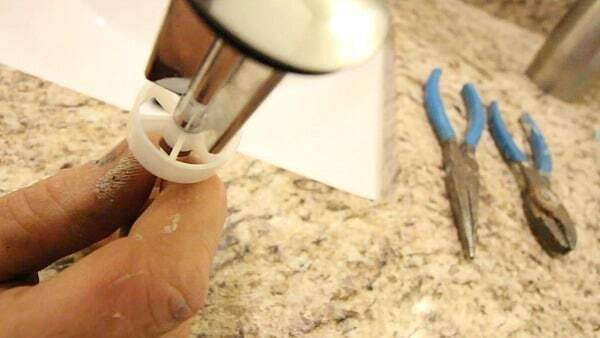 Clean this excess silicone from the sink and drain. From the underside of the sink add the rubber gasket and metal locking nut to the drain. This locks the drain in place. But don’t completely tighten the locking nut just yet. There are multiple places in a faucet installation that lead to water leaks. One of those spots is the tailpiece. We applied 100% silicone to the threads on all the tailpiece connections for added insurance. Again, this isn’t part of the Hansgrohe instructions. But we feel this helps stop any chance of small water leaks. Then hand tighten the tailpiece onto the drain pipe. 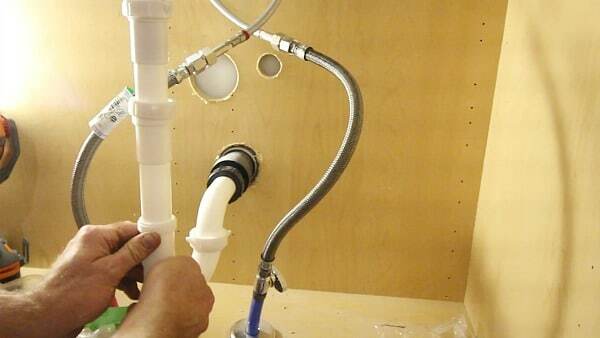 Ensure the section of the pipe for the popup faces the back of the sink. Also, tighten the drain’s metal nut with pliers at this point. This pushes the rubber washer flush with the underside of the sink and prevents leaks at that connection. Insert the pivot rod into the tailpiece assembly, popup stopper, and tighten the nut. The Talis Select has a hair catch on the popup, which is great for preventing clogged sinks or stinky drains. Add the metal fastener for the pivot rod and pull rod. This connects the two rods and allows the pop-up to be pulled up or down. Then connect the Talis Select hot and cold water supply lines to the shut off valves. Steve shares a great tip in the video on how to extend the supply lines in case they don’t reach the shut off valves. What size P-Trap should you get for bathroom sinks? 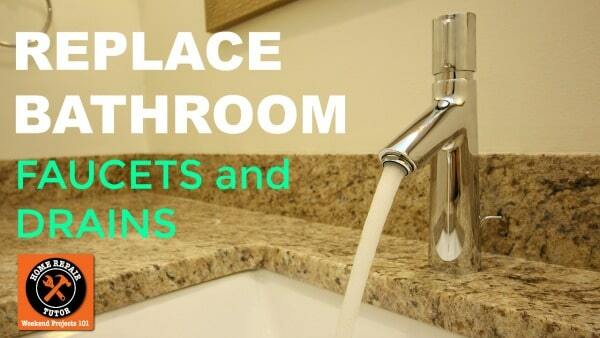 Always use 1 1/4″ diameter pipes for bathroom sinks. It’s simple, and chances are good you’ll just need to reinstall the old P-Trap. Connect the P-Trap to the gooseneck. Then slide the nut and washer onto the gooseneck for the wall pipe. The tapered edge of the washer should face the wall pipe. Finally, hand tighten the gooseneck to the wall pipe using the plastic nut. Double check that all the nuts aren’t cross threaded as this will cause leaks. In this example we had to use two 6 inch extension tubes connected together at the sink drain. It’s better to use one 12 inch extension tube but we didn’t have one on the job site. These PVC tubes can be easily cut to size using a Ridgid pipe cutter. Again, just be sure the tapered edge of the washers face down into the pipes. Steve has a lot of extra tips in the video that will help with cutting the pipes to the right length. Double check all the plastic nuts on the P-Trap are tight. Then turn the shut off valves to the ‘On’ position and pressurize the faucet. By the way, if you want to replace old shut off valves we highly recommend SharkBites – they’re super easy to install. Check for any leaks along the water supply lines. Remove the faucet’s aerator by turning it counterclockwise. Pull the red tab from the Talis Select’s handle and push the handle down. Flush the faucet for 2-3 minutes. We removed the aerator so that any particulates in the faucet or supply lines wouldn’t clog it. The water temperature can be adjusted on the Talis Select by pulling the handle off. 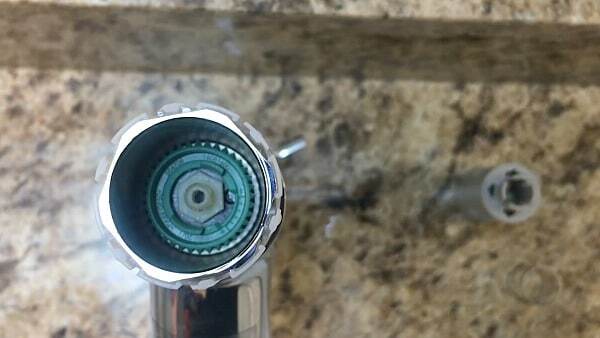 Use a screwdriver to loosen the screw that holds the gray part and spring inside the faucet. Set those aside. It’s always a good idea to have the popup stopper in the ‘Down’ position so you don’t lose any parts!! There’s nothing worse than tearing apart all your pipes to get a little spring or screw. Adjust the green limit stop to the desired temperature. Hansgrohe’s directions show what tick marks correspond to the different temperatures. Install the spring and screw the gray piece back into the faucet with the indicator facing toward the back of the sink. Then install the faucet handle with the groove facing toward the front of the sink. This is going to be one of the easiest faucets to install. And it looks pretty cool when you’re finished! Plus, the Talis Select matches the mixing valve we installed in the shower. We’re very happy with how this bathroom remodel turned out. Hansgrohe makes rock solid faucets. 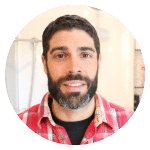 You won’t be disappointed with the Talis Select, and the hair catch should help prevent nasty clogs. If you’re replacing a vanity, our standard pedestal sink and a floating pedestal sink tutorials are super helpful. Also, our step-by-step bathtub installation will be a great resource if you’re looking to do that project sometime soon. While the single handle controls both the hot and the cold water it also makes it too easy to use hot water each time the water is used. The two handle system requires one to consciously choose to use hot water only when hot water is required. There is a measurable saving in fuel cost between the two types of systems. Will the savings in fuel cost exceed the cost of replacing two cartridges? Maybe. The hot water cartridge will likely outlast the cold by being used less often. On this faucet you could turn the handle the entire way to the cold setting. Therefore the hot water wouldn’t have to be used all the time G.A. Just a thought. Single handle with lifetime guarantee on the mixing valve. Hansgrohe makes solid fixtures. The iBox we installed is great if you don’t want to use copper. We used all PEX which also makes it easier for homeowners. Good video and good tips i did not know tha plumber’s putty dries out. I like the idea of silicone. I also prefer the single handle vs the double handle. I believe that less moving parts can last longer and single handle faucets can last longer with less repairs. Thanks Pasquale, we feel the same way. Silicone is a more permanent fix for leaks but worth it. We had a small leak at the drain connection to the chrome pipe. But after using the Silicone it was solved. 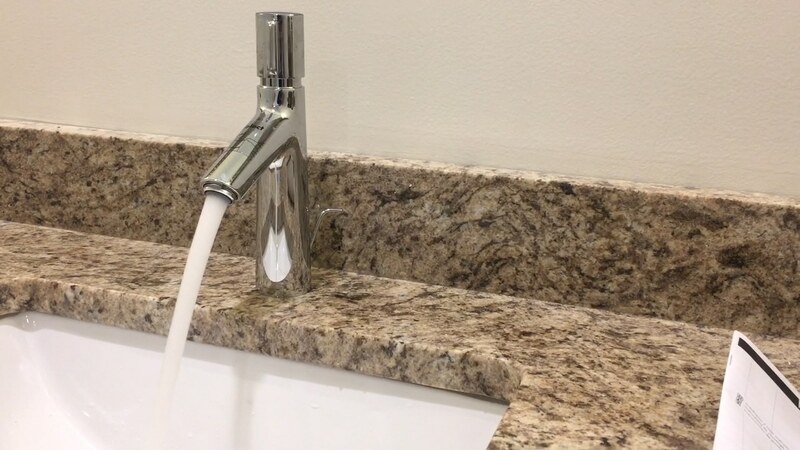 What I don’t like about this faucet, and a single lever Grohe faucet that I recently installed on my tub is that there is no way to control the flow, or volume of water from the faucet. The flow is either on full or off. One can control the temperature nicely, but not the flow. Seems like this would be a waste of water in many situations, also the full volume flow tends to blow the toothpaste right off the toothbrush when only a trickle is needed to moisten it. Great point about the flow Floyd. That is one thing I wish they’d change. They would probably figure that out and make the twisting action tied in with the volume of water. Totally agree, way easier to clean as well. I’ve installed quite a few faucets/drain pipes in my life time and must admit that the Hansgrohe metris faucet/drain pipes assembly have given me a lot of problems, even though I’ve followed the instructions. It keeps leaking immediately below the nut that secures the drain pipe to the sink when I leave water in the sink for testing purposes. It’s a very very slow leak but it leaks, period. Seems like some capillary action. I’m now using silicone instead of the putty but I don’t have high hopes as I could see nothing wrong with the way the putty formed a solid seal.